Back in the early 80’s Keith Bell, 4th Dan in Wado Ryu and training in Shotokan under Sensei Kanazawa, decided to establish a system that incorporated the best from both styles. This new founded style became “Anshin Ryu” (translates as “Peace of Mind” or “Heart and Mind” depending on the kanji translation). The content of the style is much the same as Sensei Bell’s training in the Wado Ryu system, except that the stances became lower towards the Shotokan style, but not as deep. This had the effect of making the style look more powerful like Shotokan, but still retaining the speed of the Wado system. Over the years from the 80’s Sensei Bell established Sentenashi Karate Kosai were clubs covered the North East area, from Barnard Castle, Hurworth, Sedgefield, Newton Aycliffe and Catterick Garrison. The main Honbu Dojo was in Darlington. This was where the Kodokan Martial Art Sensei trained twice a week, in addition to twice a week at the Newton Aycliffe dojo. Then in early 1992 Keith Bell decided to retire from karate, his interest lie in other directions. At this time Sentenashi disbanded, the Dan grades deciding to go their own way. Some decided to go back to the Wado system, others learning a complete new system, such as Isshin-Ryu, and a few remained with the Anshin-Ryu system. After leaving Sentenashi, it was on 31st March in 1992, that Sensei Fred Bateman founded Kazoku Karate, along with Chris Bateman and Stuart Bateman. The Honbu dojo was set up in St Anne’s Church Hall, Welbeck Ave, Darlington; and still remains there to this day. The school is affiliated to United Kingdom All Styles Karate Organisation (UKASKO) and the associated Karate Governing Body. All three of the Sensei (Plural), Fred, Chris and Stuart Bateman all started to train under a well-known Shotokan Sensei over in Stockport, by the name of Terry Mathur (5th Dan). Sadly Sensei Mathur is no longer with us today and he is sadly missed. Much of their advanced Shotokan knowledge of the system’s Kata and Bunkai (application) comes from their training with Sensei Mathur. He was also UKASKO’s English Karate Kata Squad coach. All three of Kodokan Sensei competed for the English squad winning trophies and medals during the time Sensei Mathur was their coach. 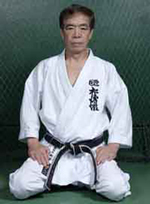 Between 1992 to 1998, the Anshin Ryu Karate under these Sensei expanded, not only by way of introducing new techniques, partner drills and self-defence etc., but setting up theoretical syllabus to teach the students about the history and philosophy behind the martial arts. While training in Kobudo (Okinawan Weapons), Sensei Fred Bateman got the chance to study Karate and Kobudo out in Okinawa, Japan. This occurred in 1998 and from this he was able to expand the knowledge of the Anshin Karate and the Kobudo arts here in England. But more importantly it gave him the stepping-stone to study under a new Sensei Phil Snewin (5th Dan) in Kamishin Ryu. This provided him even more understanding of Karate as a Budo Art rather than a Sporting Art. 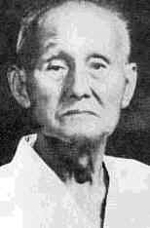 His combined knowledge from his time in Japan and with these eminent Sensei enabled him to evolve the Anshin Ryu Karate-Do that it is today. All three instructors of Anshin Ryu Karate-Do Sensei Fred Bateman along with the his wife, Sensei Chris Bateman and his son Sensei Stuart Bateman are still actively involved with and learning from world class instructors. As they state the art is a “Life’s Journey”. Anshin Ryu Karate-Do is a very traditional school of the Way of the Empty Hand. Its basis lie in both the ancient and the modern, incorporating various aspect from each. However, the system very much emphasized in the Budo system and not modern Sport Karate. The Anshin Ryu Karate Syllabus is extensive and is reflective of the style’s traditional approach to training. Initially the student learns fundamental techniques, which are performed in a very basic manner. As the student progresses, the techniques undergo a gradual transformation so that they themselves progress from being merely basic to passing through intermediate and then on to advanced levels of performance. The syllabus is supported by a vast curriculum, which ensures that students are taught according to their level of understanding and ability, and also ensures that every aspect of the system is covered. There are drills and other exercises that accompany the syllabus that aid the connection from Kihon, Kata and Kumite. Some of these are a requirement for a grade and thus are included in the grade syllabus. In addition to the extensive technical application of Anshin Ryu Karate, the student will learn the Reigi (Etiquette), Philosophy, and a basic knowledge of Martial Arts. This understanding is learnt through continuous training in the Dojo as well as being part of each grade through Questions. They will begin to understand the Japanese terminology associated to the Martial Arts and Karate. For each step forward in grade, the student must undergo a minimum number of training hours before being able to qualify to take the next grade. This ensures that all the needs in the curriculum is covered as the student progresses and improving their skills. The requirement varies for each grading and increases at a particular level. For example, a beginner is expected to achieve at least 24 lessons (or 24 hours), a 1st kyu student going for his Shodan Black belt is 96 lessons (or 96 hours), before being able to be considered to grade. An important part of Anshin Ryu Karate is the Reigi (Etiquette) and this is part of the student’s syllabus and grading. It starts by the student learning the Dojo Kun (Code of Ethics), which is a very important set of ideals that the student tries to master. However, it can be very difficult to do so at times as modern life provides a challenge to us. But true mastery of Karate comes when these ideas are second nature. Through the curriculum and training a great deal of emphasis is based around building and expanding the student’s mental and physical well being through this martial art. This produces confidence, self-esteem, motivation and respect to handle life’s future challenges. The essential techniques are encompassed in Kata (Kata is a mould or form), using combinations of attacking and defensive techniques against multiple imaginary opponents. The study of the Bunkai of Kata, or analysis, gives a deeper understanding of the art form, whereby drills from the Kata are carried out with a partner enabling self-defence applications to be carried out in a controlled manner. Also taught within the system are self-defence lessons, involving locks, holds, throws, ground work and weapon training. Although Anshin Ryu Karate is not a Sport Karate School it does provides the students, if they so wish, a chance to compete at various tournament levels, at regional national and international. It also provides opportunities for students to train with and become members of the English National Competing Squads. Therefore it is a popular system for children and adults alike. Saturday Junior Class has no places available at this time.